Fiction University: Do You Have a Story with a Twist, or a Twist That Thinks it's a Story? Do You Have a Story with a Twist, or a Twist That Thinks it's a Story? Stories with a great twist are stories readers remember, but make sure your story is more a single punchline. I ran into a problem when writing my adult urban fantasy novel, Blood Ties. There's a twist, and one of the things that kept changing in the original outline was where that twist was revealed. Did I reveal it early on so the reader got to the "cool part" of the idea first? Did I use it as my midpoint reversal? Or was it an end-of-book shocker? I wasn't writing a story that had a twist, I was setting up a 400-page joke with the twist as the punchline. The novel was all about the reveal, not the story. Which was a major problem. A twist can't be the whole book. The story has to hold up even if readers know the twist. When writing a great twist novel, you want to have suspense and wonder and hook the reader, yet also leave behind those wonderful little clues that readers who know the twist will see and take delight in--and provide re-read value for those who decide to go back and see what they missed. The novel has to hold together and be an entertaining read that's made better when the truth is finally revealed. 1. Does the plot work if readers know the twist? You'll see this problem a lot in premise novels. The idea is what's driving the story, not a character with a problem, and the writer spends most of the novel building up to that big reveal. Trouble is, a high percentage of these types of reveals aren't as surprising as you'd expect, and the"learning the truth" isn't enough to carry the entire novel. And since the reveal is secret, the protagonist doesn't really feel as if they're driving the story, so often it comes across like the characters are just wandering around aimlessly. Or worse--that the author is intentionally keeping critical plot secrets from the reader. Describe your plot using something vague to suggest the twist. For example, if the twist is that the protagonist is an alien, make it "protagonist with a big secret." If the basic plot doesn't work without knowing the secret, there might be a problem. The protagonist should be doing things that matter to them and in the process of that, discover steps toward that big secret. If all the major plot points revolve around the discovery of that secret, that's a red flag the plot is about the twist, not the conflict. Subtle difference, but it puts the narrative drive back in the protagonist 's hands. 2. 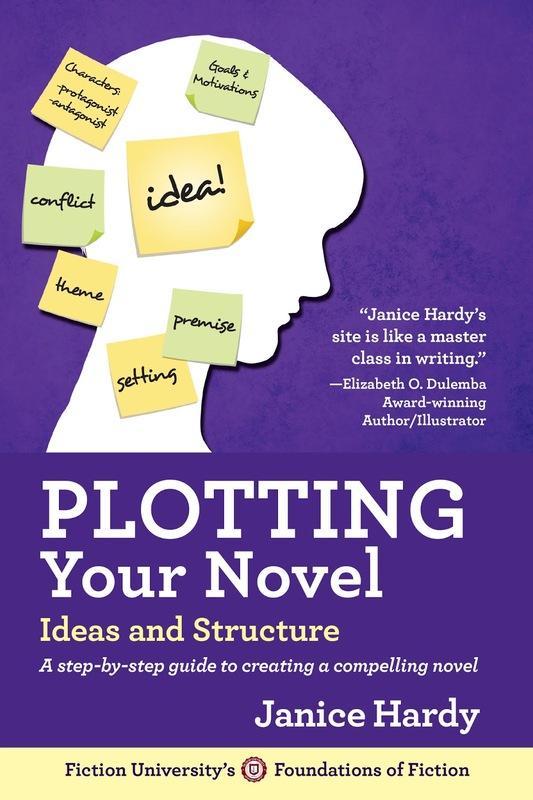 Are there enough active goals for your protagonist that advance the plot, or is the plot all set up? No matter what the twist, the protagonist should still have goals and obstacles and struggles to overcome those obstacles same as any other story. A twist story can often fall into the "hero tries to find out..." type format, since the discovery of the secret is the whole point of the book. But there's no actual conflict there, just a wandering protagonist trying to learn information. If your sole goal is to uncover the secret or find out the truth, there could be a problem. Unless you're writing a mystery, of course. Uncovering the truth kinda defines those. 3. Are you trying to fool the reader? As writers, we want to keep the reader off balance and make our stories unpredictable, but I've read stories that came across as the author trying to pull a fast one. Key clues were held back, things were purposefully misdirected, everything was done so the author got to trick the reader and say, "Ha ha, I so fooled you. It was X all along." I don't know about you, but these kinds of stories always annoy me. If the clues aren't there so I can figure if out if I'm paying close attention, the author isn't playing fair. 4. Are there subplots that aren't about the twist? With a well-rounded protagonist and solid goals, conflicts, and stakes, there will be subplots and other problems going on that enhance the core conflict. But if all the subplots are just more ways to distract the reader (or the protagonist ) from the truth, then it might be a red flag the twist has taken control of the story. Twist stories can be great. Revealing that things aren't what the reader thinks and they suddenly see the story in a new light that deepens plot and character makes for an awesome book. But twists can also be a one-trick pony if we aren't careful about developing the whole story and not just setting up the big twist. Excellent points to consider. Thanks! I loved this post. It got me thinking about other things, too like: Is this book worth reading a second time? With #3, I hate when I am watching a show on TV and they purposely held back information because I'm like, well yes, any idiot could have figured that out if they would have know that too. That really bugs me. But if you can give the reader all the clues and still shock them, yeah baby, you did it right. Thank you, thank you for this post Janice! Excellent post! I'm going to bookmark this because I do have a twist in my WIP and I want to make sure that I follow your tips. Great post. I like twist stories when they are done well, but there's the ones that have a lot more going on than the twist like you said. Story twists usually don't surprise me if the author's played fair. Main ones I can think of that have surprised me are things where I saw them coming from a mile off but assumed the author wouldn't dare (kill that main character, etc). So I agree about stories needing more than twists to make 'em. I, too, feel cheated if the author withholds important info just so he can "startle" me. If there's a story reason that the narrator doesn't know the info before the reveal, okay. But when the narrator's all hush-hush and the author obviously has danced around the scene to make sure the text doesn't give anything away? Irritating! I've never really sat down and thought about my story twists like this, but that's a good idea. I usually send a story to a few betas--at least one knowing nothing about the twist, and at least one knowing the twist in advance. I've found I get the best feedback, that way. This is something I fret about a lot. I was listening to Lionel Shriver being interviewed abtou We Need To Talk About Kevin - she wrote it knowing that the dreadful thing Kevin had done would be revealed on the back cover blurb. So she had to find other surprises to play out from that, and use it as the starting point for a deeper story. Plus she had to find a twist or two for the end. It is very tricky to be twisty. Wonderful check list to aid the direction of the story. Excellent post. I actually just finished reading a book that was guilty of this. Seems everything in the book was filler just to get to the "twist" ending you could tell the author thought was much better than it actually was. You've given me some food for thought for my own work too, great advice, I'm bookmarking this one! I, frankly, hate twists. They are done so often and so poorly that it just irritates me when the author (or screenwriter or whatever) goes "Ha! Gotcha! Boo!" The most recent one is "The Girl With The Dragon Tattoo" the movie. I figured out who the baddie was when they first listed off the suspects, and I had to spend the next 2 hours waiting for them to figure out the obvious villain. The characters were interesting, but, as you said, too much of the plot hinged on the red herring twist that when it was finally revealed I was completely bored. When they're done well, they're great. But those usually work right from the start, when you're trying to figure it out and you think you got it, then a new piece of info in revealed that blows your theory out of the water and points in a new direction. And when the twist is revealed and you think "OMG yes! Why didn't I see that, it was so obvious" because it was all right there if you looked at it right. That's some good stuff to keep in mind. I love being surprised, but that when I go back and reread, I can find all the clues that led to the surprise. I'm late to the party, but this is a great post. It reminds me of the "Jar of Tang" sci-fi trope, where the whole story is about people trekking through an unending orange desert, only reveal the shocking! twist! That they are microbes and the desert is a jar of Tang! I also hate it when the author is clearing withholding key information, either for a big twist later, or to try and ramp up tension. It feels like false tension to me -- often it happens when a wise mentor knows something and tells the hero the time just isn't right for him to know it yet, and there's never any explanation for why the time wasn't right. It just wasn't. Because the writer wanted the reader to get the surprise later on. But it just leaves me going, "If that info could have saved his life, WHY didn't you TELL HIM?" Namely because I suspect that readers will guess the twists right from the get-go. Sibbs, Is this going to be revealed n the cover copy? is another good thing to think about. If readers know it going in, don't try to make it a mystery for them.